Had an extremely rare free day today (I'm off for my birthday, wife is at work, kids at school), so for old times sake, I did a total store hunt. I hit 3 targets, 8 walmarts, and 4 Meijers. All I found was a single Siege Soundwave and Starscream at the last Walmart I hit. Anyway, I picked up soudwave, since Starscream's 'detachable body' has me less than thrilled. I have made no secret that I overwhelmingly detest the Siege line. Soundwave (much like Megatron) is a massive exception to that. This is just an all around amazing figure. The only complaint I have is the battle damage, which remains the worst idea Hasbro has ever had. Seriously, if it wasn't for said deco, this would be an absolute perfect update to the original toy. I got a question for you Siege Soundwave owners. Is the tape deck door damage painted on or molded in? Also is it on the inside of the door? Why is it so weird that the part of the alt mode that most looks like wings on an Earth-mode airplane is what ends up as the iconic wings on Starscream's back? Let me put it this way. Studio Series Starscream is an AMAZING figure, and no one can deny it's the best rendition of that character we've gotten from the movies in toy form. However, its arms, legs, and much of its torso don't really form any appreciable part of the jet mode either. They just hide a little better underneath, as is the case with the vast majority of air and jet craft Transformers, but somehow that's okay? Who cares if you can pull off the top of the tetra jet and still have a Starscream that's missing several pieces of his silhouette while still having a head, a torso, two arms, and two legs? Personally I don't mind Starscream's shell forming. I'd honestly much rather have it be one, big piece than a couple dozen tiny bits that are liable to be lost. That and how else were they going to make what is ostensibly a triangular pyramid into the classic G1 seeker design? Even back when Impossible Toys tried it (I think it was them) they were just panel heavy shell-formers. I know that I'll be glad to add these to my collection as my generations seekers. 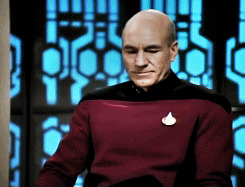 I don't think Jake was really responding directly to that picture/post, more using it as a springboard to respond to the wider complaints about Siege Starscream. See I need to be back home in Missouri. Wishful thinking, but I am keeping my eyes open here while I am in Virginia. Fingers crossed. My only current fortune, is finding SS #37 Rampage and Siege Starscream today. Last edited by SGMLordMirage on Wed Mar 06, 2019 9:37 pm, edited 1 time in total. SGMLordMirage wrote: See I need to be back home in Missouri. Wishful thinking, but I am keeping my eyes open here while I am in Virginia. Fingers crossed. My only current fortune, is finding SS #37 Rampage and Siege Starscream today. Dude, you just found 2 brand new figures that have been hitting stores for less than a week. You’re acting like you haven’t found anything. Very true and probably misspoken or the choice of words. It’s hard to tell depending on how many people post pictures of what they find. Guess I took that one for granted. I will say I am very happy with what I found, though I will say I am anxious to see Soundwave in person and OP from the Bumblebee MOvie. Thanks you Rodimus Prime 13! 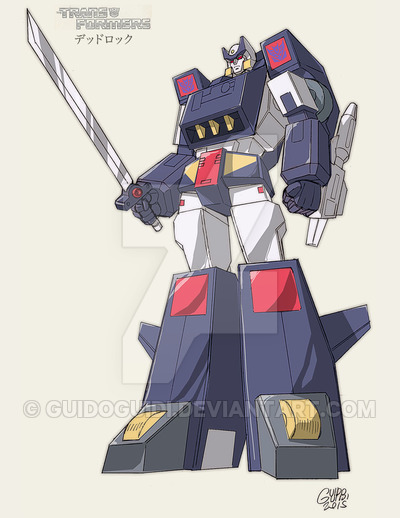 But IDW Drift (Deadlock) was not a Triple Chsnger, so a Springer redeco would be more in line with Movie Drift, than IDW. Although their safest bet would probably be to do an amalgamation of them and give us the triple changer as IDW Drift. I say if they going to bring Barricade and give the Cybertron series armor to Optimus,why not go all in? I wouldn't be much surprised Bulkhead and Lockdown appear latter on. 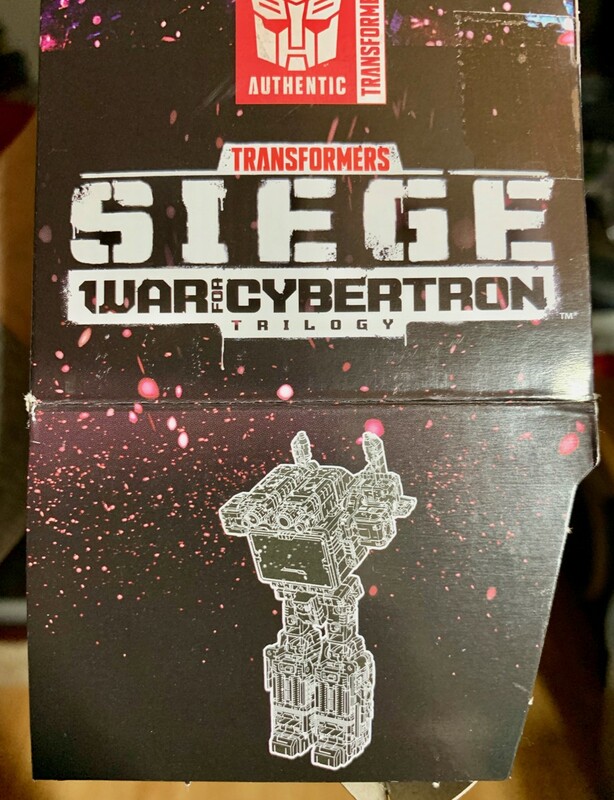 By now you're probably familiar with the hidden codes and images on the sides of of some War for Cybertron: Siege boxes that can be found through the use of UV lights. For the most part the light only reveals added details to the character art, faction symbols, and the character's name. But for the first time we're getting a true Easter egg hidden on the box. 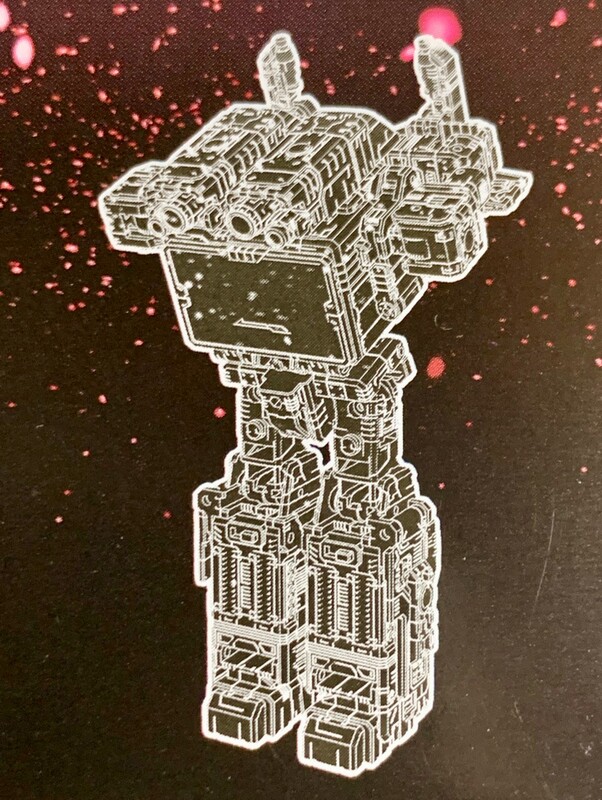 Thanks to TFW2005 user Robots78 we're seeing official line art for Soundwave's lamppost mode behind the code "lamppost" in Cybertronian. This is the first time Hasbro has officially depicted the lamppost mode, though it was also hidden in the display diorama at New York Comic Con, but at the time it just seemed like John Warden was having a little fun with the figure. Incidentally, wave mate Starscream's code is "null-ray". But that wasn't the only place the image was hidden. 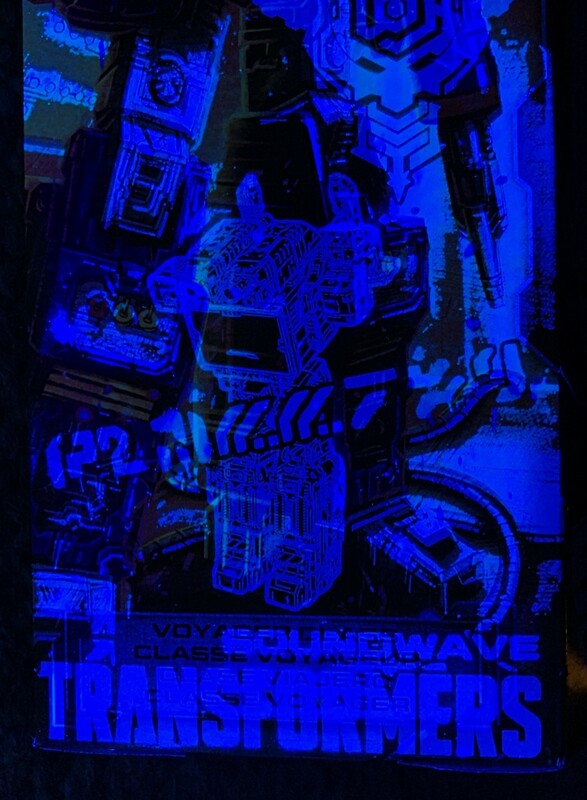 If you don't have a UV light handy then simply undo the bottom of the package as Hasbro also hid the image on one of the side flaps under there. For now the cassette player mode remains unofficial. So what do you think of the updated lamppost mode? Vast improvement or not as good as the original? Sound off in the Energon Pub forums below! Thanks, Jettostotle7, that's exactly what my intent was. The picture is funny. I just used it as a starting point to talk about my view of the figure in contrast to the issues other people perceive with it. Did some late night toy hunting and found the wave 2 deluxes. Picked up Ironhide. He’s really cool so far. Only messed with him for 5 minutes. It’s like 1 in the morning. I'm personally the opposite: while I won't be disappointed or put off if they make it in Drift colors, I would prefer to get a new Deadlock, as the only official figure of Drift as Deadlock in existence so far was a Takara Legends figure, it would help fill out the Decepticon ranks, and it would work timeline-wise for him to still be a Con pre-Earth. 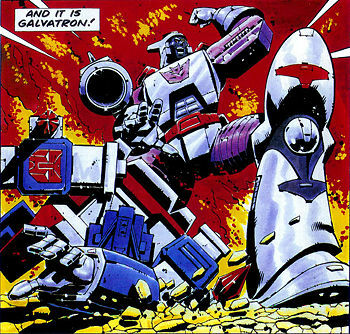 carytheone wrote: I got a question for you Siege Soundwave owners. Is the tape deck door damage painted on or molded in? Also is it on the inside of the door? It is painted on the front of the door. 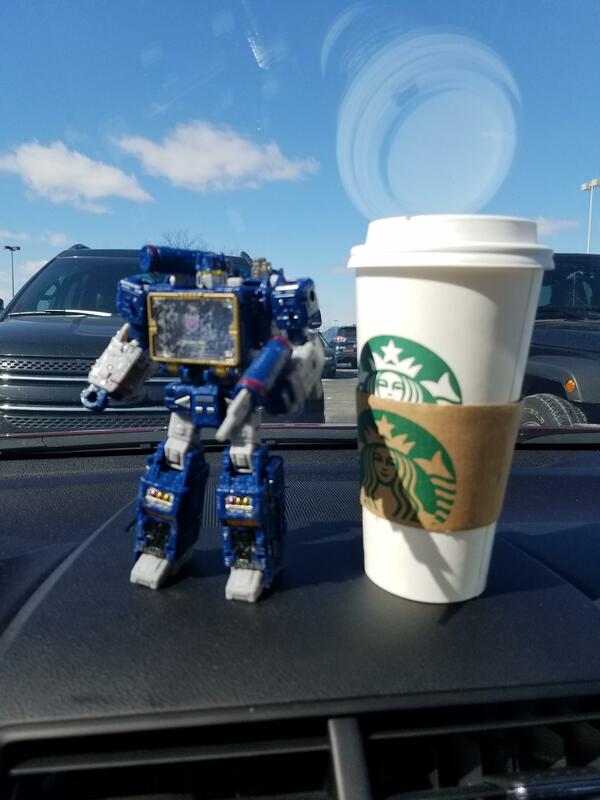 Soundwave's lamppost mode may just be a happy coincidence. One guy at HasTak fan-transformed it for fun and the crew said "AH! Why not?" and made if official. 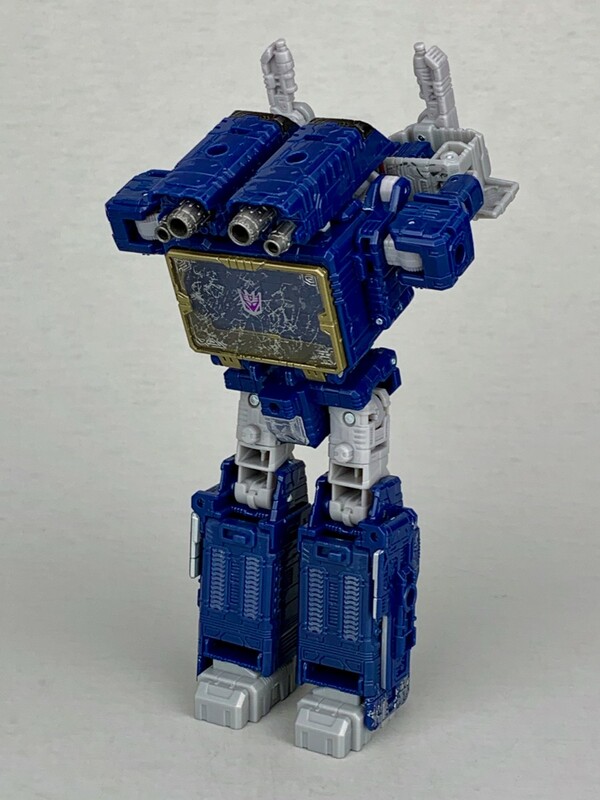 I'm still picking a soundwave up (its hard to pass on any soundwave, I even had the titanium -but not the baynus sattelite, some lows even I wont stoop to :p) but if the bits fall off that easy like in the review it will be a big negative. Would be nice if ehobby (or some one muuuch cheaper) did a G1 barricade, the not quite earth/cybertron siege car modes dont work for me. Howevever for siege springer id pick up an evil version if they go the deadlock route for him. Starscreams alt looks better not attached to the body but mine will be in robot mode anyhoos with the classics being in jet mode (last time I transformed them the feet didn't feel healthy/under stress). Personally I would be interested in seeing The Masterpiece line handle Tetrajets. Given their pointless backpeddling to "cartoon accuracy" it would make sense to create a piece based on the Seekers very first appearance. 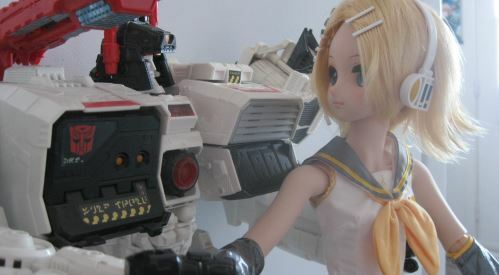 Whereas people seem to classify SIEGE Starscream as a 'Shellformer', I doubt the same could be said for a MP equivalent.